Sleigh Bells performed at the Granada, here in Dallas, last week. I imagine this band plays a spectacular live show, particularly because they gave one of the best performances I’ve seen on Saturday Night Live. I don’t know this for sure because I didn’t go. I wanted to. I just didn’t realize they were playing until about two weeks after tickets went on sale. I’m one of those people. I hear about concerts long after everyone else has. By the time I realized Sleigh Bells was playing at the Granada, tickets were sold out, going for $200 on StubHub. It gets worse. M83 is playing on May 20! I just realized it a few days ago – and yes, it has been sold out since the Reagan administration. I really need to increase my concert awareness. There are simple ways. 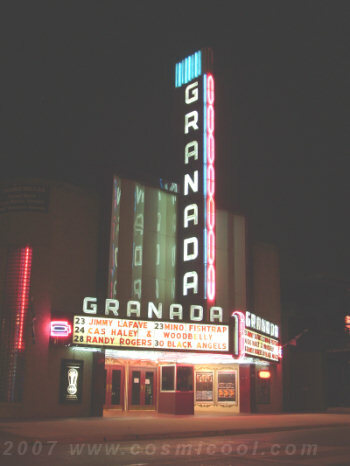 I actually receive e-mails from the Granada, from Ticketmaster, from LiveNation, but I never read them. I get so many KGB Deals and Groupon and Living Social e-mails that they bog me down to the point of where I hardly open any e-mails unless they come from a very trusted source. Touting the virtues of Mad Men online might be the least original thing anyone could ever do, but I feel like it’s necessary. After all, there might be a person or two in the world who – like two months-ago me – just hasn’t bought into the hype. I was fairly convinced that The Wire couldn’t be topped, so there was no point in investing hours, days and weeks in another show. I was partially correct. Mad Men doesn’t compare favorably to The Wire (but what does? ), but it was certainly worth my time. I’m two-and-a-bit seasons in, and I’m addicted.